To create the habit of thinking about others and how they will be affected before we make a decision. What happens when we do this? Do we become more loving and serene? Please be willing to share with the group next week a short example of when you or someone close to you was able to be unselfish. How are you practicing this principle in all your affairs? Is there a ripple effect on the people who are closest to you? Good: what are 2 good things that I witnessed in other people or that someone did for me? It has to be something that another person actually did and not something that I am anticipating will happen, in real life, and very concrete. 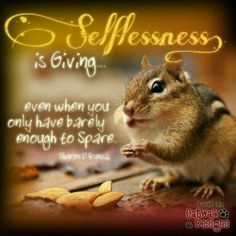 Giving: What did I do for others today? Among some of the things I explore are: Did I make the commitment to practice one daily act of kindness today? Did I do something kind/good or unselfish for someone that I don’t even like? Did I do something kind/good or unselfish for someone that I kept anonymous? A copy of the 5 G’s worksheet is available on the documents tab in the blog. G-d’s will. By letting go of my needs and wants, I let G-d into my life. When I stop directing e/o around me to do my bidding, I leave room for G-d to arrange things as only He knows best. But to me asking for G-d’s will means asking for directions in matters of the spirit. Doing laundry or going to sleep are matters of the body and there I turn to what will work for me (I can’t work when I’m tired). I’m thrilled to be part of this great group and thank you, Shira, for initiating this blog. I’m looking forward to continued growth and clarity in our journey to emotional sobriety. Thank you so much for your service. I love all the questions and HW assignments. One comment. I would love anyone else’s feedback. Selflessness has always been a very slippery place for me. I have always put everyone else’s needs first and through working the steps I started to realize that this was really selfish self centered behavior. When I put myself last I can’t be of service to others and especially of service to G-d. I have to always check in and say where does G-d want me now. Does he want me to stay up late doing my son’s laundry or does he want metro go to bed. Once I put G-d first and truly seek his will then everything else falls into place. For me it’s not about selfish or selfless behavior it is always about surrender and acceptance.